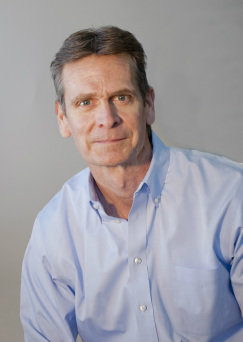 Bill Novak is an experienced manufacturing leader, with a passion for developing leadership talents in others. Throughout his career, which includes multiple facility turnarounds, Bill has recognized the critical need for leadership development at the ground level. He has successfully trained, coached and mentored team leaders, supervisors, department heads, superintendents and plant managers across numerous operations. His passion, insight, experience and track record of success led to the formation of WIN Leadership, LLC and the development of the WIN Leadership Model (WLM), his process-based leadership development model. Bill earned a Bachelors in Business from Western Illinois University (’81) and began his career on the plant floor, quickly moving up through the ranks with roles in scheduling/planning, shipping & warehouse management, department management and plant management. In 1994, Bill earned his Master of Business Administration from Ball State University and became General Manager of Jefferson Smurfit’s Middletown, OH Folding Carton Plant. During his tenure in Middletown, he lead both a fiscal and operational turnaround of the facility. Of special highlight was leading the plant from an industry worst to first in safety, earning the Paperboard Packaging Council’s 2002 Chairman’s Safety Award, recognizing the Middletown facility as the safest plant in the industry. In 2008, after a merger with Graphic Packaging International, Inc., Bill managed the closure of the Middletown operation and spent the subsequent 18 months on GPI’s Integration Team, as the on-site leader managing the closures of three additional facilities across the country. In 2010, Bill became Plant Manager of GPI’s Norwood, OH Label Plant and successfully led the 2nd operational turnaround of his career. During his tenure in Norwood, safety, quality and productivity reached new heights, while he led a cultural turnaround that earned Norwood the highest, single-plant improvement rating (2010-2011) among all GPI facilities, as measured by the Dennison Cultural Survey.